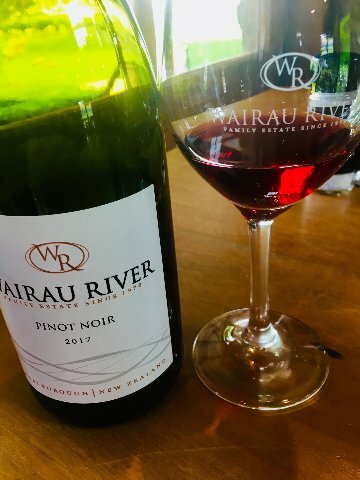 While visiting New Zealand we stumbled onto Wairau River Winery, which was established in 1978 by Phil and Chris Rose. Today their five children and extended family pitch in to run this family owned estate in the Marlborough region. The Wairau Valley is extensive and is surrounded by the Awatere and Southern Valleys. Once you drive out of Blenheim, all you can see are vines. I was told that nearly half of the vines in the Marlborough wine region exist in three valleys, where the Wairau River meets the Pacific Ocean. The Richmond Mountains in the North separate the region while the Wither Hills in the south protect the region from the nearby harsh weather elements that cause havoc. The Wairau Valley is mainly flat. 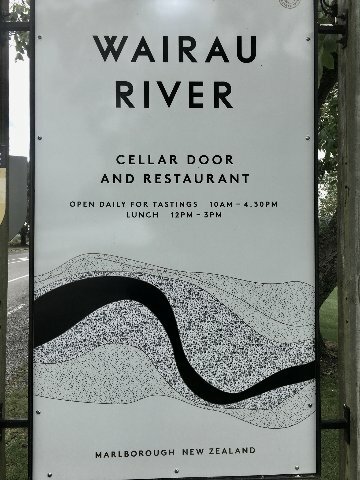 Wairau River winery is home to Sauvignon Blanc, Pinot Gris, Chardonnay, Gewurtztraminer, Riesling, Pinot Noir and Syrah. Naturally, Sauvignon Blanc is the most important grape in the region. The first vines were planted in 1978. Today, the demand has grown to the point that in years to come, it will outgrow the supply. There is no room to plant new Sauvignon Blanc seedlings. Historically, wine has been made in New Zealand for the past two hundred years. The European immigrants jump started the industry about a hundred years ago, while within the past twenty years, the focus on the cool climate grapes paired with modern technology has put New Zealand on the map. White varietals thrive alongside Pinot Noir. Although the Roses planted their first grapes in 1978, it was not until 1991 that they released their first vintage. The years prior, they sourced their grapes to other vineyards. Being pioneers in the industry, Phil and Chris Rose have made the most out of this prestigious wine region. Marlborough wines are known for their intensity of flavor due to the cool climate. 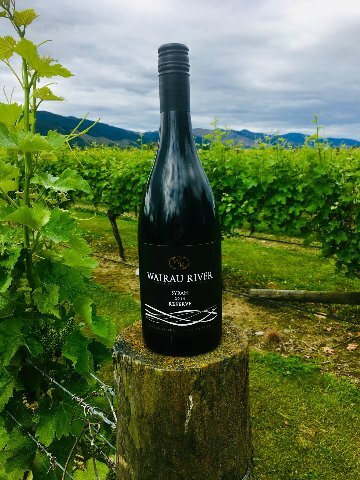 Low yields and ripe estate fruit define Wairau River wines. Wairau River means ‘a hundred waters’ and on the banks of the river, known for its stone and silt, the Rose’s winegrowing days began. Today, they own 500 acres. They only use the finest grapes focusing on Sauvignon Blanc and Pinot Noir. The Rose dynasty estate covers nine vineyards in the Rapaura appellation of Marlborough. According to Export Manager, Dave Kenny of Wairau River, the Roses had their pick of the region in the late '70s and chose wisely where to plant their vines. Early success led to expansion, followed by sustainable farming practices. Protecting the environmental integrity of Wairau River has long been the path for ‘Green Country’ traditions and a credo of New Zealand wine production. Beside sampling Wairau River’s Sauvigon Blanc and Pinot Noir, wine extraordinaire Dave Kenny shared an amazing batch of Wairau River wines with us. The Pinot Gris, Syrah, Chardonnay and sparkling wine stood out. We had the opportunity to sample numerous reserve wines with our lunch at the popular ‘Cellar Door’ restaurant, adjacent to the winery. Tables inside and out-next to the vines- enhanced the experience. My lunch consisted of an amazing seafood chowder that paired perfectly with Pinot Gris, a wine that Wairau River exports to the states and is distributed by Terlato (they import Pinot Noir, as well). On Dave Kenny’s recommendation, my wife, Maria, ordered a double baked blue cheese soufflé, which was so decadent that I had to ask Dave for the recipe. The Cellar Door Restaurant is where you may have the opportunity to meet Phil and Chris Rose. Phil pops in each morning to have his morning tea. The relaxing atmosphere of the Cellar Door is where I want to be.